John Bolton hired Fred Fleitz at the NSC. Here's what you need to know about him. 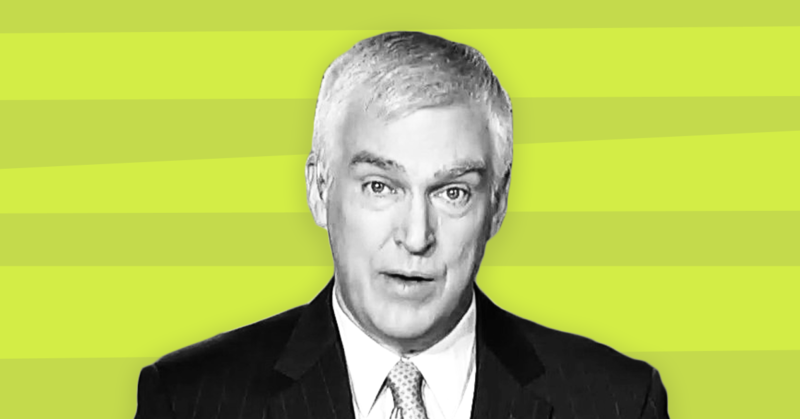 Fred Fleitz, the new chief of staff for national security advisor John Bolton, comes from an anti-Muslim hate group and has fearmongered about Muslims during his numerous appearances on right-wing media outlets. He also repeatedly questioned the intelligence community’s assessment that Russia interfered in the 2016 election to support Donald Trump and claimed former President George W. Bush was vindicated in his lie that Iraq possessed weapons of mass destruction in the lead-up to the Iraq War. Fleitz is in good company with Bolton, who chaired the Gatestone Institute -- which NBC News described as “a nonprofit that has promoted misleading and false anti-Muslim news” -- from 2013 till March of this year, just before Trump appointed him as national security adviser. And in a June 2017 Breitbart News Daily radio appearance, Fleitz fearmongered about Muslims in the United Kingdom, saying some communities of British Muslims “are deliberately not assimilating, are being taught to hate British society,” and claimed, “We may have generations of radical Islamists in the U.K., until the British government wakes up and stops the situation.” Fleitz also said that “there are enclaves of Muslim communities in Michigan and Minnesota that concern me,” blaming them for a measles outbreak in Minnesota that year. Conspiracy theory website WND (formerly known as WorldNetDaily) had previously pushed this smear, blaming the low rate of immunizations of Somali Muslims in the area on the Quran. But The Independent explained that the Somali Americans in Minnesota used to vaccinate their children more than other Minnesotans” until the mid-2000s, when the rate began dropping because anti-vaccine activists repeatedly visited the area to convince the community of the debunked claim that vaccines can cause autism. Fleitz’s public anti-Muslim attitude and his senior position in a hate group aren’t the only problems with his appointment to the National Security Council. In several op-eds posted to right-wing media websites, Fleitz repeatedly questioned the intelligence community assessment from early 2017 that Russia meddled in the presidential election to help Trump -- an assessment recently backed up by the Senate intelligence committee -- calling it “rigged” and a “politicized analysis to sabotage an incoming president from a different political party.” Fleitz also said in a December Fox Business appearance that “the collusion thing” between Trump’s team and Russia “is just such nonsense,” citing the Trump administration’s sale of arms to Ukraine as proof. Revelations last week by the New York Times that U.S. troops found chemical weapons in Iraq – about 5,000 CW warheads, shells and aviation bombs – but the size of this find and injuries from these weapons to American soldiers were covered up by the Bush administration has caused experts on both sides of the political spectrum to scramble to answer one question: does this prove President Bush was right that there were undeclared weapons of mass destruction in Iraq prior to the 2003 war? I believe the answer to this question clearly is yes. Zachary Pleat is a senior researcher at Media Matters, where he has worked since January 2009. He has a bachelor’s degree in international studies from the University of South Florida.